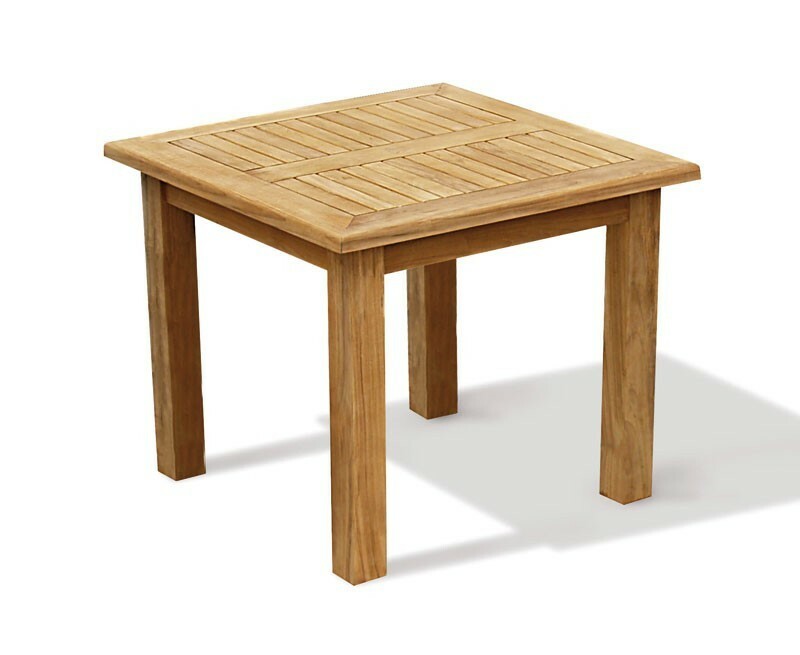 Our Balmoral teak chunky square garden table will make an attractive focal point for your outside space, featuring chunky legs and an extra-thick table top. 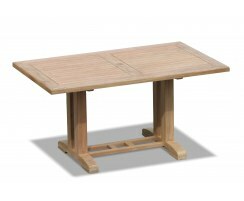 Comfortably seating four people, this stylish square garden dining table presents plenty of options for alfresco dining and entertainment and is sure to impress your guests. 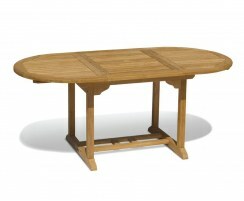 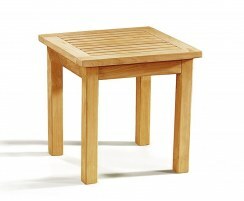 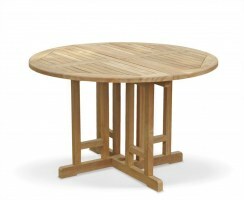 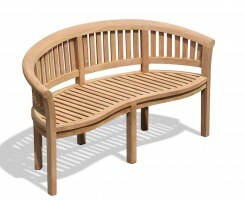 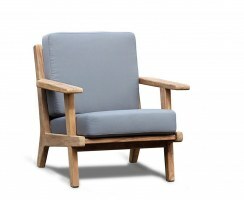 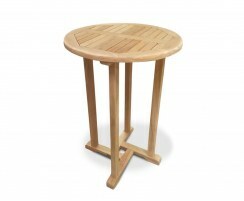 Our Balmoral teak chunky square garden table is able to withstand both public and private use. 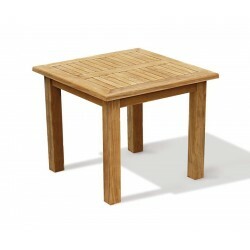 This square patio dining table has been robustly constructed from durable, sustainable A-grade teak for long life and great looks. 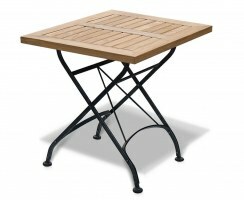 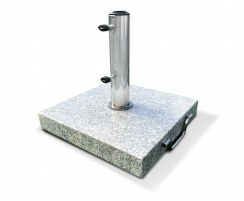 This square garden table can remain outdoors all year long in all weather whilst requiring only minimal maintenance – we simply recommend occasional cleaning to remove any build-up of dirt. 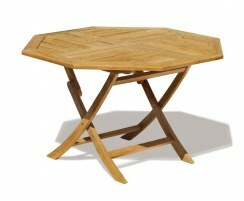 This teak chunky square garden table is pre-drilled for a parasol and is supplied with a flush-fitting teak parasol plug if not required. 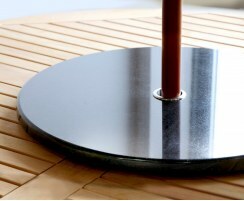 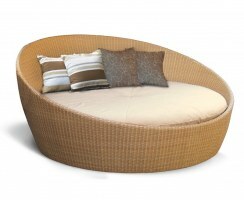 This patio table also features a beautiful chamfered edge for your comfort, and radial edges on the slats to ensure your furniture dries off quickly after rainfall. 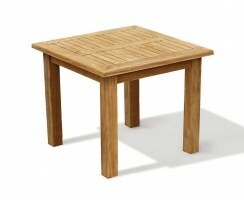 This teak chunky square garden table will be delivered to you fully assembled for your immediate enjoyment and convenience. 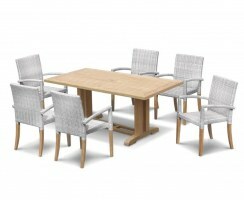 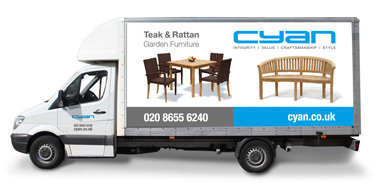 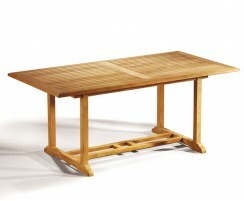 This table can be teamed with any of our dining chairs (available separately) to complete a quality dining set. 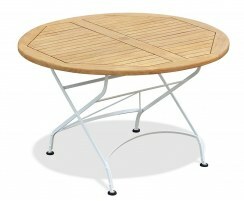 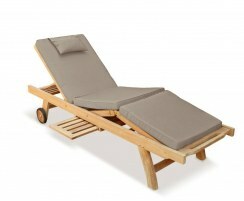 Don’t forget comfy cushions and a parasol and base (available separately) for a truly luxurious alfresco dining experience.